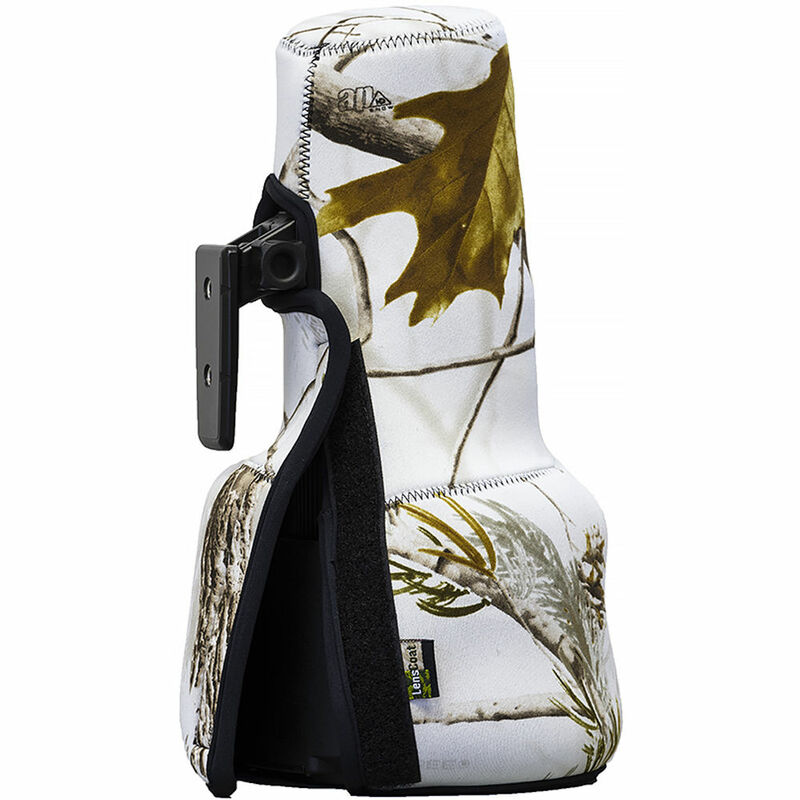 The Realtree AP Snow TravelCoat for the Nikon 500mm f/5.6E PF ED VR Lens from LensCoat is a 3.0mm-thick, shock-absorbing, closed-cell neoprene lens cover designed to be used with the lens hood stowed in reverse position. It was designed to help protect the lens when it is not in use, without the need for a more comprehensive lens case. It allows more room in your camera bag for other necessities. The coat slides over the lens, and closes with a secure touch fastener. Realtree AP Snow allows your lens to blend in with snow-covered trees, bushes and rocks. Box Dimensions (LxWxH) 11.95 x 7.55 x 2.3"